Last year, at the White House Chanukahy part, after President Barack Obama and First Lady Michelle Obama lit the menorah, singer Lipa Schmelczer joined the audience in singing Ma’oz Tzur, which Lipa belted out with passion. 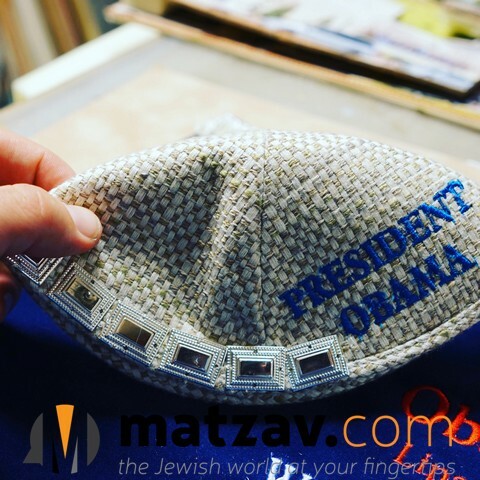 Afterwards, President Obama shook hands with members of the Jewish community in the audience, and as he walked Lipa’s way, Lipa promised to bring the Obamas a gold and silver yarmulka. 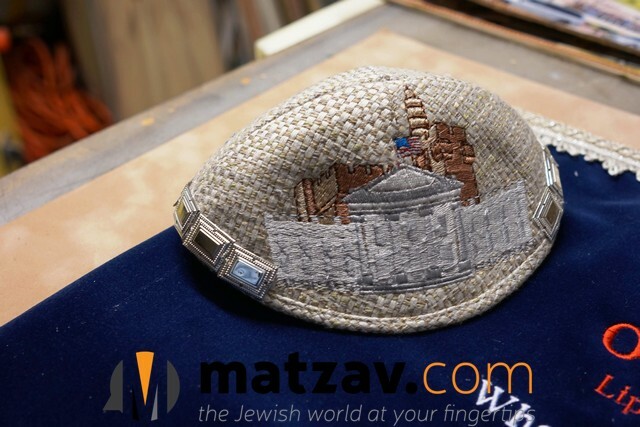 “I always wanted a gold and silver yarmulka,” President Obama responded. 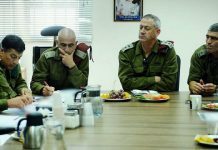 “The words replayed in my mind ever since,” Lipa told Matzav.com. As an entertainer for the past 17 years, Lipa has traveled the world performing at weddings and concerts. But it’s not only his voice that’s unique. He also makes a point to wear various special accessories, from his eyeglasses to his colorful bekishe. Perhaps most of all, his is proud of the yarmulka that he wears atop his head, an expression of his creativity. 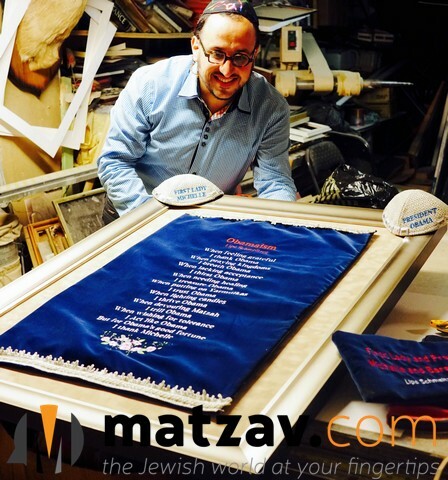 “In bringing the president something a garment that means so much to me, I hoped that powerful connection—of individuality and spirituality—would be passed along to him, regardless of his religion,” Lipa told Matzav. Lipa asked for a friend’s assistance in helping to conceptualize the yarmulka design. He agreed, and in exchange, Lipa helped him write Yiddish lyrics to a few songs he had recently composed. Then Lipa visited another friend at Brooklyn’s Best Embroidery, a specialty shop that designs everything from talleisim to mantelach for Sifrei Torah. While Lipa had noted to the Obamas that the yarmulka would be “gold and silver,” he quickly realized that he would not be able to use real gold for practical reasons: it’s quite expensive. So he decided to attach silver buttons, similar to those that are placed on the atarah of a tallis. Lipa included the names of the President and First Lady, along with the colors of the American and Israeli flags. 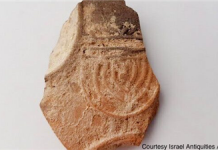 He also included designs of The White House and Migdal Dovid in Yerushalayim. Now, if you can do one more, “ehh” should be “ehr”. How low will one go???? I cry for the coming generation…..
What? A yarmulke for First Lady Michelle? It’s nice to finally see a Haredi personality recognizing the greatness of our first Jewish President! What did the poem say? And why would Mrs. Obama need a yarmulke?? What does the poem say? And why would Mrs. Obama need a yarmulke??? I doubt Obama even remembers the encounter with Lipa..
Lipa does not represent the Jewish community. No thank you. Citizens can indeed be recognized for special accomplishments. Since when do we give so much credence to our performers? Is this how low we have sunk? This is nothing but a ad. Despicable! what is happening to klal yisroel? lower & lower every day. wait 25 more years & you will soon see the non muktza phone C”V Rachmana l’tzlan. And this is a result of all the artificial commercialising judiasm. And turning it in to nothing but a calculation. Next time… watch your mouth! Why do we wear kipos in the first place? One reason is to separate yiden from goyim. Encouraging a goy to wear a kipa, is silly and counterproductive. Would Lipa encourage Obama to perform mitsvos specific to Isroel? Give him a pair of tfilin next? When politicians come to join jewish events, or when a rebbe makes chasana and local politicians attend, they also put on yarmulkas… will you ask the same question then? Or only when Lipa does something.